The holiday season is upon us. 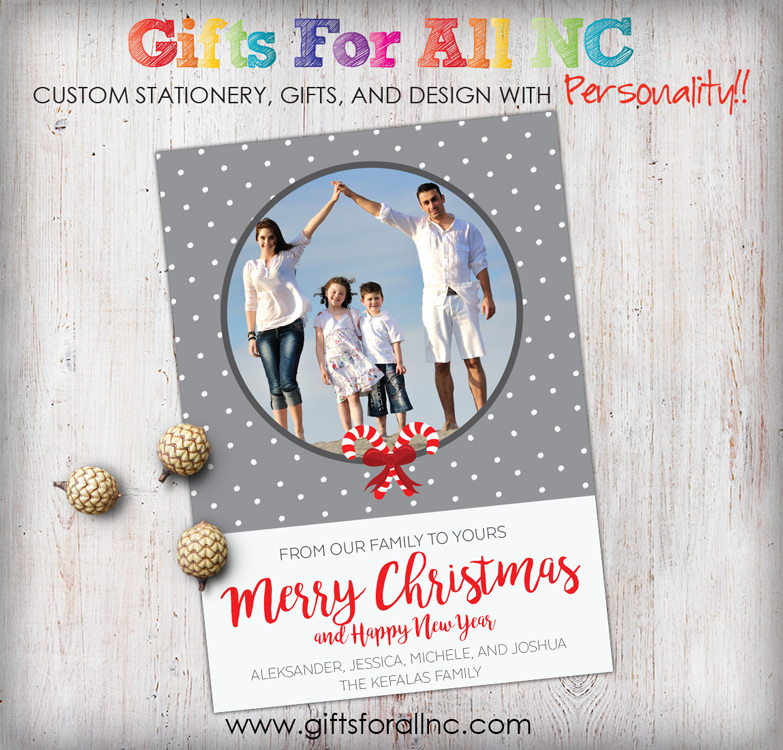 Send your love ones a adorable Candy Cane Christmas Photo Card. With the accent of Dots and Candy Cane ring in this season with cheer.